Picked up this Paul & Joe brush holder (S$32) at the counter in BHG. 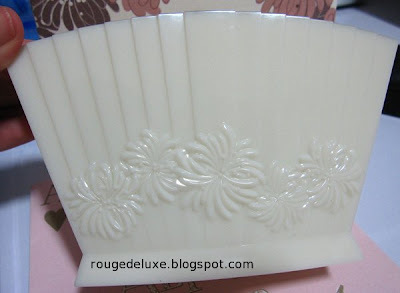 This is already sold out at the Isetan Orchard counter so I thought I better get it while it is still available. It is also available on Beautyhabit.com. 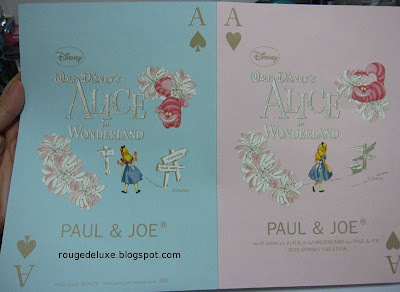 The BHG counter also had pamphlets for the Alice in Wonderland collection. The SA said that the collection was likely to arrive sometime in February and that each set could cost over S$100. 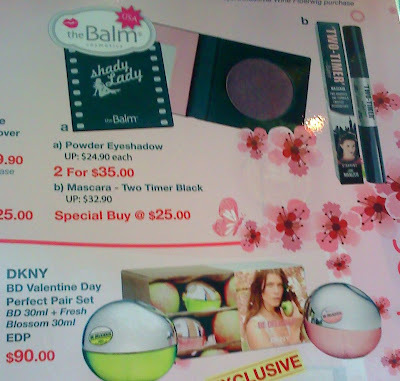 Sasa is currently offering a special deal on theBalm eyeshadows (buy 2 for S$35) and Two-timer Mascara (S$25). 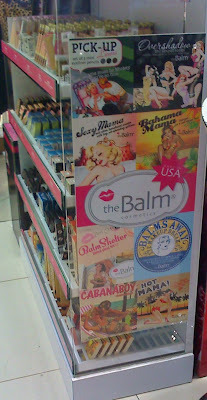 I love the pop retro artwork on the theBalm display at Sasa! You can check out MusingsofaMuse for reviews of theBalm products. Karen over at MakeupandBeautyBlog also wrote a great review of the Time Balm Concealer. 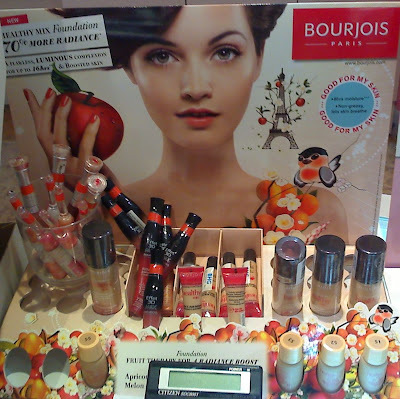 I came across the new Bourjois Khol & Contour eyeliners display at BHG. 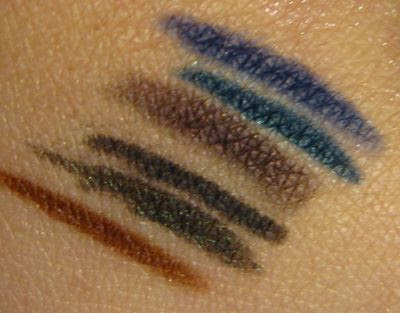 These feel soft and are richly pigmented with a lovely metallic finish. They are supposed to last up to 16 hours. Best of all, they are very affordable at only S$13.30 each. 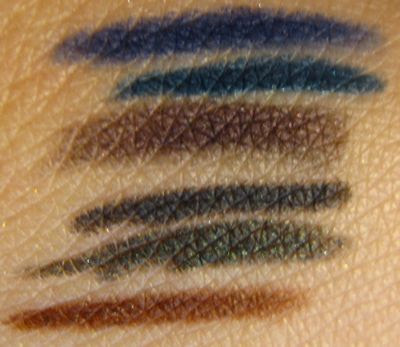 Of the six shades available, my favourite is Bleu Original 11 (second from the top in the swatches below) which has a nice emerald glint. 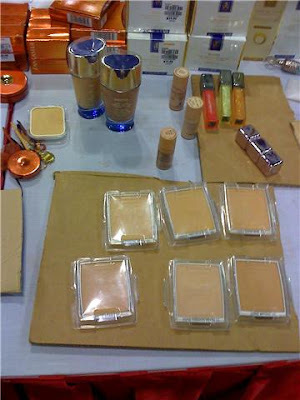 The new Healthy Mix Foundation SPF12 PA++ (S$38) and Healthy Mix Concealer were also on display. There are only three shades available for the foundation, in light to medium tones. It is formulated with apricot, melon, apple and ginger for skincare benefits such as protection against free radicals and skin brightening, and is supposed to last up to 16 hours. I liked the light texture which felt very smooth and non-greasy/powdery, and hence suitable for oily skin types like me. Since I still have several foundations to use up, I passed on it for now but will definitely consider getting it in the future, probably during one of Watsons' 20% discount sales. 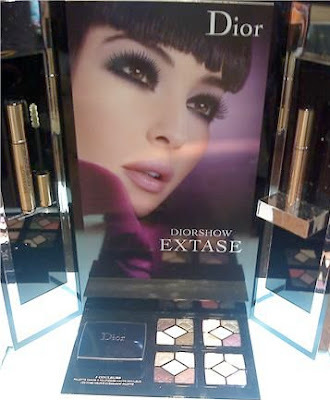 The Dior counter at BHG (Bugis Junction) has the three new Cinq Couleurs palettes on display together with the new DiorShow Extase Mascara (S$50). 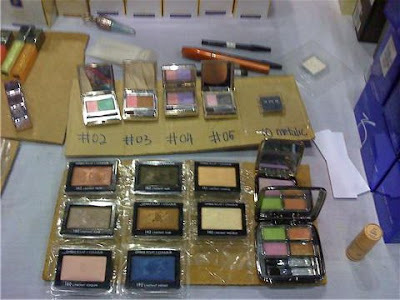 The palettes are S$91 each. The SA was completely clueless when I asked her what was different about the new palettes and simply replied, "Oh they are new colours". DUH! 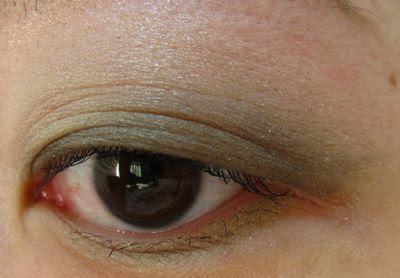 Anyway, according to Sephora.com, the formula supposedly has been improved to create an incredibly soft, melting texture that glides over the eye lid, creating a smudge-proof application. The display shows the three new palettes (#804 Extase Pinks, #004 Mystic Greys, #970 Stylish Move) plus #909 Pink May but Pink May is actually still of the "old" formula which has a less elaborate quilted pattern embossed on the surface. The stock photo below shows (from left to right): Mystic Greys, Extase Pinks and Stylish Move. The three palettes are swatched in the following order: top row - Stylish Move; middle row- Mystic Greys, bottom row - Extase Pinks. 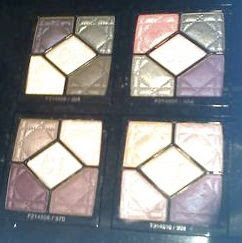 To be honest, I can't really detect any difference in the formula of these new palettes, compared to the previous releases. The individual shades actually have differing textures, with some having an almost molten, velvety metallic texture while some feel a bit dryer but with a more shimmery finish. 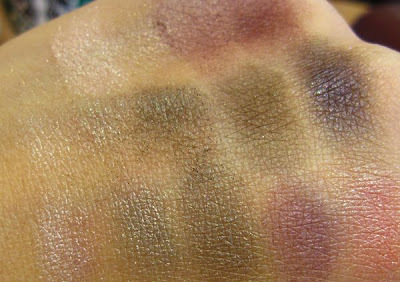 None of the three palettes immediately wowed me when swatched, but my past experience with Dior palettes is that they are usually more impressive when applied on the eyes, than when merely swatched on the back of my hand. #804 Extase Pinks reminds me of #089 Smokey Crystal from the Holiday '09 collection. #970 Stylish Move (below) was already part of the permanent line previously but has been redone in the new formula. 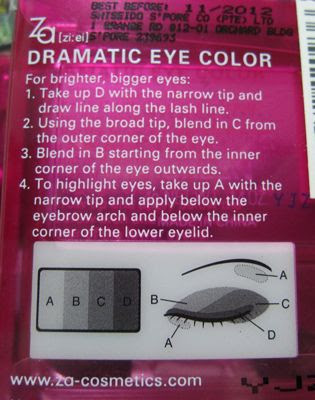 This is quite popular on MakeupAlley. 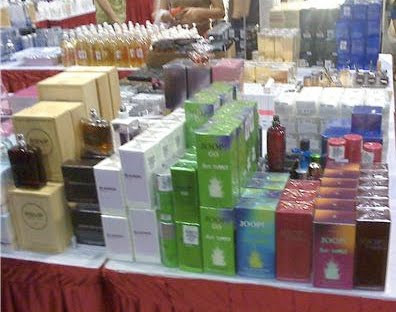 The Tangs Bazaar Sale is currently taking place at Suntec Convention Hall (Level 4) until 3 February. The only makeup brands on sale are Guerlain, Ipsa and RMK. For RMK, there are the discontinued version of the Creamy Makeup Base in 00 and 01 (S$30), plus several of the eyeshadow duos (S$25) from the Spring Translucence collection that was released in January 2009. 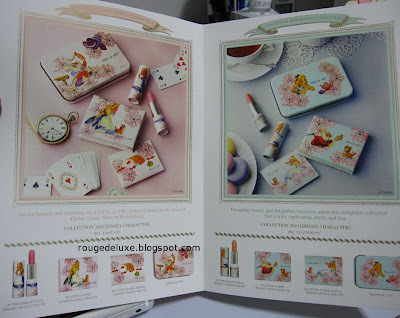 Guerlain had the limited edition eyeshadow quad (S$39) and three lipglosses from the Spring '09 collection, some eyeshadow singles plus several shades of the Prarure powder foundation refills (S$44). 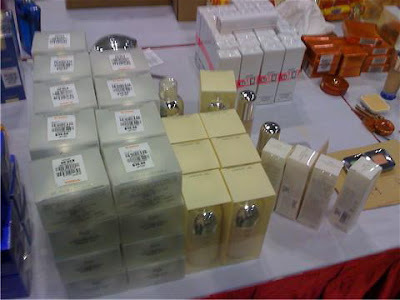 Ipsa had the Cream Essence Foundation #101 and #201 (S$25), Metaboliser EX04 and the Time Reset Cream CS2 (S$30). I was tempted to get the Ipsa foundation and Time Reset Cream but eventually decided against doing so as the manufacturing date was January 2008. 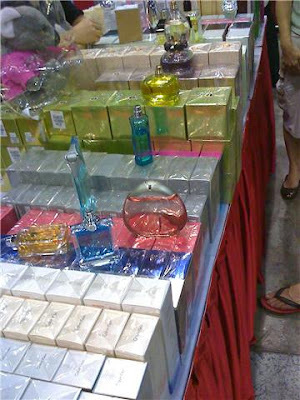 Luxasia has a booth there selling many brands of perfume such as J.Lo, Sarah Jessica Parker, Nina Ricci, Britney Spears, Calvin Klein, Vera Wang, Marc Jacobs etc. Marc Jacobs Splashes in Lemon and Cucumber were S$60 each. 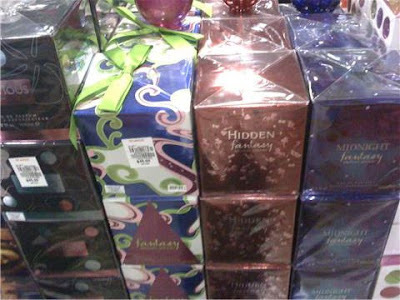 The Britney Spears perfumes were mostly at S$45 each for the 100ml versions. The Vera Wang Truly Pink set is S$130. 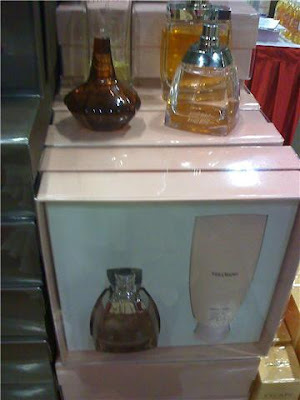 Didn't see any of the other Vera Wang fragrances like Princess. 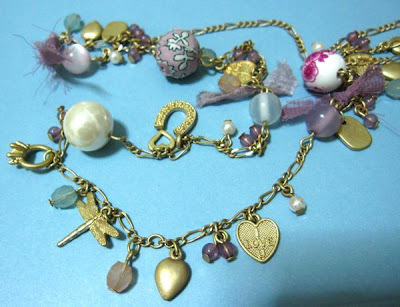 Here's another pretty princessy set for Jill Stuart collectors! Jill Stuart will release a new Smooth Silk Powder Foundation N (5250yen) on 5 March in Japan. There will also be a limited edition Base Makeup Kit (8400yen) which includes the foundation, and a choice of either the Pure Lasting Makeup Base or the Day Care Essence, plus a beige pink accessory box. 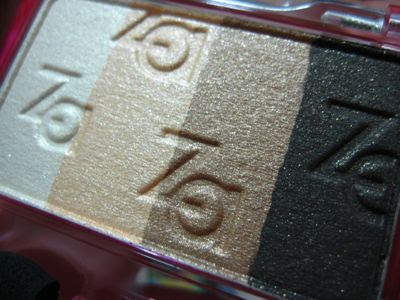 The foundation has SPF20, PA++ and is available in five shades with a "crystal floral bouquet" scent. You can purchase the refill and case separately for 3675yen and 1575yen respectively. 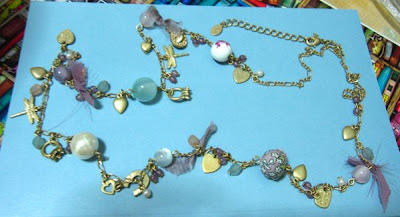 Remember the Accessorize charm bracelet that I got two weeks ago? 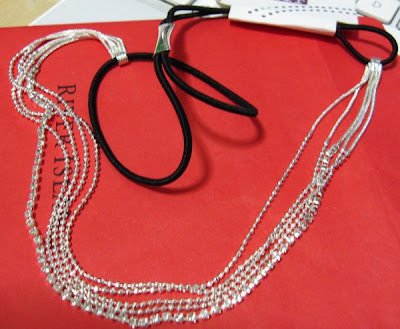 I have been searching for the matching necklace ever since and finally found it at the Accessorize store in Ion on Friday :-) The necklace is S$33.90 and hangs down to just above the waist. 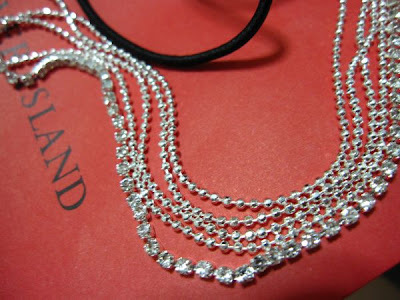 Also got this crystal-studded hair elastic band (S$28) from River Island today. Most hairbands give me a headache if they are too tight or too loose, but this is just the perfect fit. Oh, and if you like the pair of Topshop flats with the pearl and metal strands around the ankle that I blogged about earlier this week, the Topshop at Vivocity has several pairs of these in white, and a few in black. 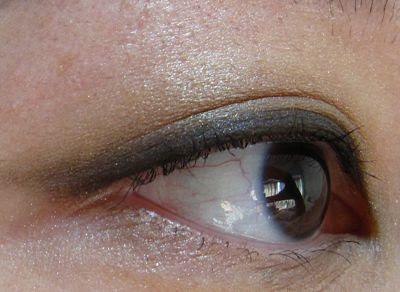 Here's the look that I did today with ZA Dramatic Eye Color in Gold, using Testimo Bright Up Eye Base, and paired with the Wide Eyes Mascara in black. 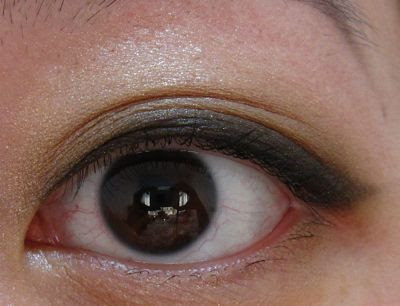 I used the black shade along the upper lashline, the golden tan shade in the crease and outer half of the lower lashline, the yellow-tinged white shade over the browbone area, and the light beige blended into the crease and the inner half of the lower lashline. 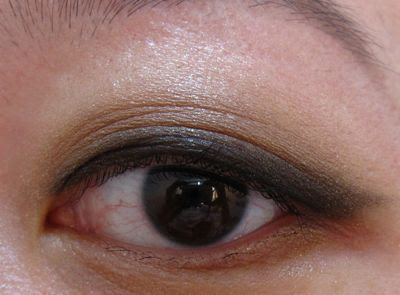 The black shade with gold sparkles was extremely pigmented which makes this useful for creating a smokey look. The other three shades also had good color payoff, with a lovely glimmer. The shades complemented one another very well and also lasted over several hours of wear without fading, oxidising or falling on my cheeks. Overall, I felt that the Dramatic Eye Color palettes are definitely worth checking out if you're looking for an affordable yet good quality eyeshadow palette that is easy to use and suitable for day/work wear. 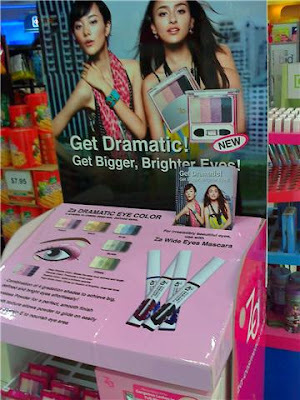 Both the Dramatic Eye Color palettes and Wide Eyes Mascara are available now at Watsons. 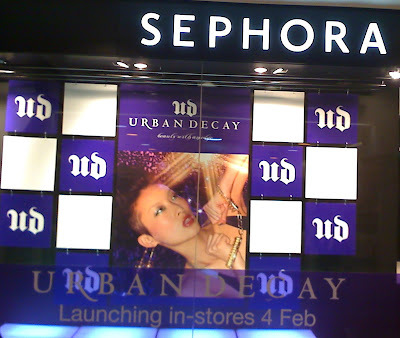 Below is the display at the Watsons in Vivocity. 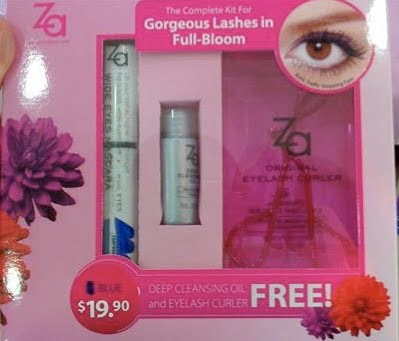 Watsons also currently has a special set for the Wide Eyes Mascara that includes a cleansing oil deluxe sample and an eyelash curler for S$19.90. 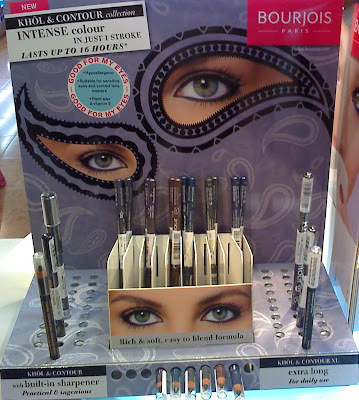 The various shades of the Wide Eyes Mascara are available as part of this set. Also, do check out a fellow Singaporean blogger, Cocomotion's review and swatches of the blue and purple Dramatic Eye Color palettes on her Shine, Shimmer & Sparkle blog! Spotted at Ngee Ann City! 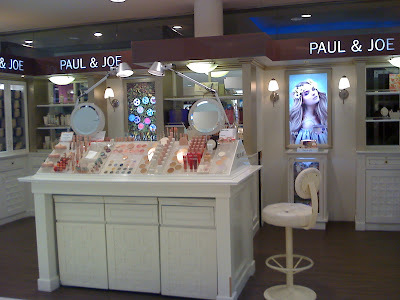 Both the Paul & Joe counters at Isetan Orchard and Takashimaya now feature the "Wild Flowers" promo visuals but the collection is not on display yet as it will be launched only next week. The Maybelline Color Sensational Moisture Extreme line of lipsticks has just been launched at Watsons. 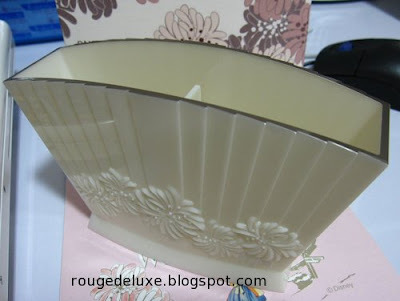 Retailing at S$15.90, there are about 18 shades available here. It looks like we got the Australian version (which is called the Moisture Extreme Lipcolors) with shades names like Windsor Rose and Passion Red in a matte metal tube packaging. The US/European versions have a clear plastic cover and the US got 48 shades. I hate it when makeup companies release different versions for different countries but under the same name 'cos I'd prefer to be able to try what the US/European ladies are talking about on MakeupAlley! 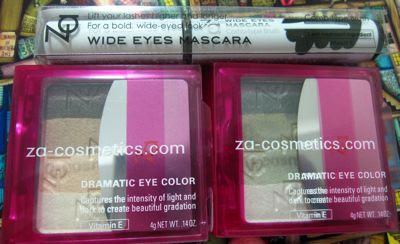 I received two of Za's new Dramatic Eye Color palettes and Wide Eyes Mascara courtesy of Shiseido to review. This is the first time that I'm trying Za products. 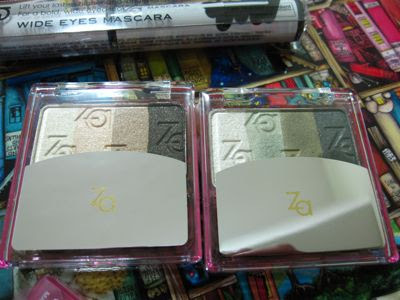 Za is quite a popular drugstore brand in Singapore, especially for their 2-way powder foundations which work well in Singapore's tropical climate. There are five Dramatic Eye Color palettes (S$19.90 each) and these are supposed to be available in Watsons starting from 28 January. (Watsons is currently having a 20% discount on Za.) These are formulated with a "Poreless Powder" for a smooth even finish, plus Vitamin E to help nourish the skin. Not surprisingly, I found the texture of the eyeshadows to be very similar to Majolica Majorca, which is also owned by Shiseido, except that the Za palettes are made in China while Majolica Majorca's palettes are made in Japan. I received the Green and Gold palettes. These also come in Purple, Blue and Silver. 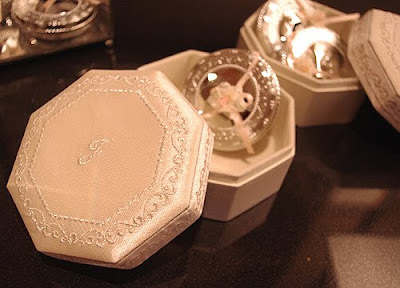 The texture is smooth, finely milled with a soft glimmer which makes these suitable for work. There are no chunky glitter bits and the texture is not overly powdery. 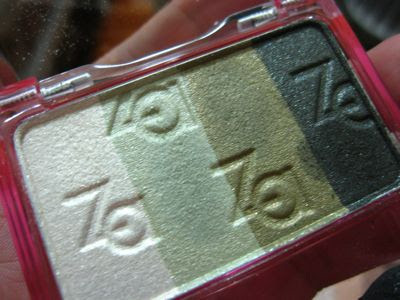 I've only tried the Green palette and found that the level of pigment varies between the shades. 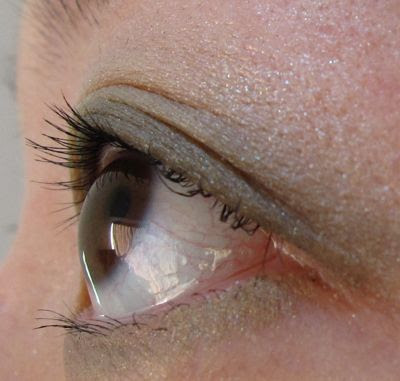 The light gold-tinged beige and dark green shade are the most pigmented and show up well from the very first layer, while the two shades in the middle took a few more layers to get them to show up. Each palette comes with a dual-ended sponge tip applicator. These work quite well in terms of 'packing' on the colour but for a more polished finish, I had to use a makeup brush to blend the shades at the end. Like most gradational palette, working out how to apply the various shades is virtually idiot-proof and the shades apply and blend easily with one another. The Wide Eyes Mascara has a very fine comb applicator that is supposed to help separate the lashes. There are no fibre-clumps, plus it is smudge-proof and waterproof. 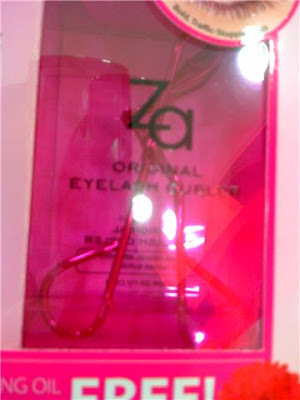 It is formulated with Lash Treatment Ingredient and Vitamin E, and Gloss Oil for glossy, vivid colour. It is made in Japan and assembled in Taiwan. What I liked about the mascara is that the comb applicator comes out of the tube without too much excess product and it applies very cleanly and smoothly. There was zero clumping even after combing the applicator through my lashes several times. 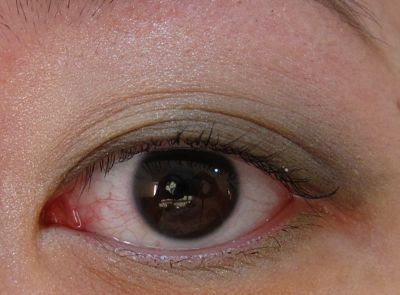 It helped to separate and add length to my lashes and did not weigh down my lashes, but was less impressive in terms of the volumising effect. 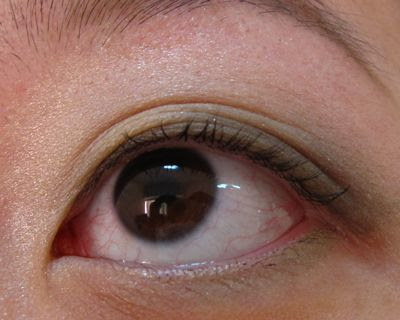 The mascara lasted well over 8 hours of wear without smudging or flaking. As it is waterproof, it should be removed with a cleansing oil. I also liked the jet black shade which has no hint of ashiness or grey. 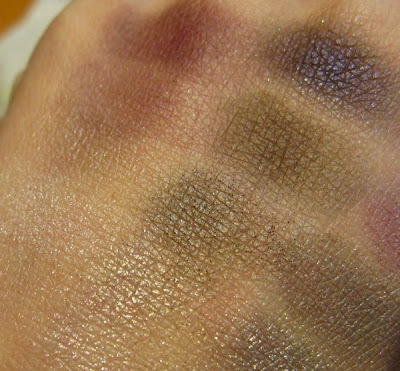 The eyeshadows also lasted quite well with minimal creasing (I used Urban Decay Primer Potion as the base). I'll review the Gold palette separately.